Real talk: I am exactly the type of person who has no qualms with confessing my deep love for Drake. But instead of speaking on my everlasting devotion to the 28-year-old rapper (devotion that my boyfriend and close friends do not approve of), I am here to speak on Drake's fashion sense. This Grammy-winning singer is certainly ruling the sartorial world right now for various reasons, including her utter fearlessness when it comes to style. From finishing off a highly successful headlining tour to launching his OVO clothing line, Drake is on a winning streak. Plus, his mix tape If You're Reading This It's Too Late was at the top of the rap charts for several weeks. Drake does not have any reason to not celebrate with all of these achievements under his belt. But besides paying attention to all of these awesome successes, I have been keeping a close eye on Drake's style choices. I will be the first to admit that I take styling tips from male celebrities, especially Drake (#androgynyFTW). I am a fan of his fashion choices overall due to how chill yet edgy his ensembles actually are. I mean, Drake is always rocking things such as basketball jerseys and ponchos so effortlessly. And to be honest, I am quite jealous of the fact that the award-winning rapper looks like the cool kid from the '6' in everything he wears. Here are just seven style tips from Drake that will have you looking like a cool kid from the '6' too. I have always been a fan of having yellow in my wardrobe, and Drake just proves that I am making the right choice. The rapper was standing out from a crowd in this vibrant yellow hoodie, which is from his very own clothing line. Yellow just gives you that instant glow that everyone loves. You probably hear this often, but yellow is definitely your color, Drake. Summer and fall are the seasons for denim everything. While the standard blue denim jacket is still trendy, a cream denim jacket is way better. Drake wore this stylish ensemble to an art gallery in New York a couple of months ago, and I am still smitten over it. Take a cue from this dashing rapper and opt for a cream denim jacket instead of the typical blue one this season. You will not regret it. "Ball is life" is not a quote that this rapper takes lightly. Drake is always seen rocking various sports jerseys including basketball ones. Out of all of the jerseys, the Bulls' piece is my favorite. I mean, who wouldn't feel confident rocking a Michael Jordan "23" jersey? Is your Bulls' jersey your lucky charm, Drake? I have never been the type of person to believe in gender roles in terms of styling choices. This is why I turned into the heart eye emoji when I spotted Drake donning a Chanel poncho this past winter. While some may question whether ponchos are "for men," this rap artist proves that the look is not at all specific gender. You look handsome in your poncho, boo. If you did not know already, leather jackets are the coolest jackets. I mean, look at how fabulous Drake looks here. A leather jacket adds an edgy finishing touch to any look, especially this rapper's simple graphic t-shirt and jeans combo. Nothing screams edgy more than a cool band shirt with a leather jacket, and clearly Drake knows as much. Can I borrow that graphic tee, though? Plaid is rad. OK, let me leave the rhyming to Drake; but we can continue to discuss how awesome plaid is nontheless. Flannel shirts have been cool since the '90s and they are still going strong. This award-winning musician is definitely the cool kid from Toronto with this blue flannel shirt. I will rock my blue flannel so we can be twinsies, Drake! While Regina George and the Plastics from the film Mean Girls taught us to only wear pink on Wednesdays, Drake proves that this clan was wrong. 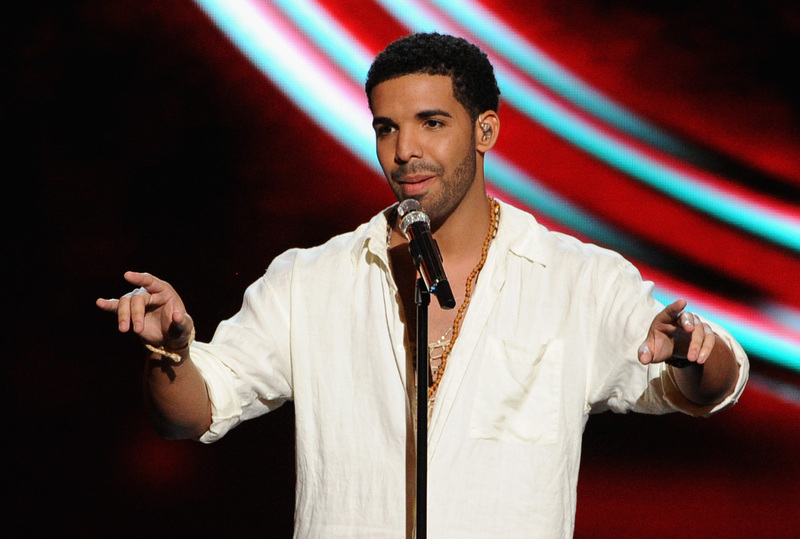 This rapper wore this lovely pink shirt while he was "running through the 6 with his woes." This top is another item from his latest OVO clothing collection. If I buy a pink shirt, can I become one of your "woes" Drake? Pretty please?